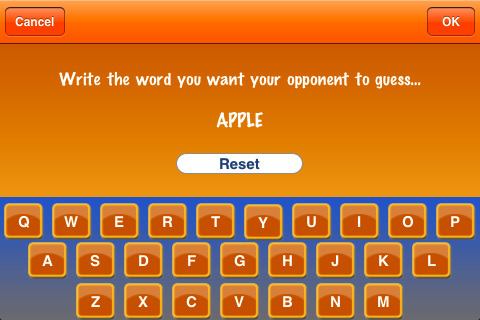 Play in two languages: English or Greek. 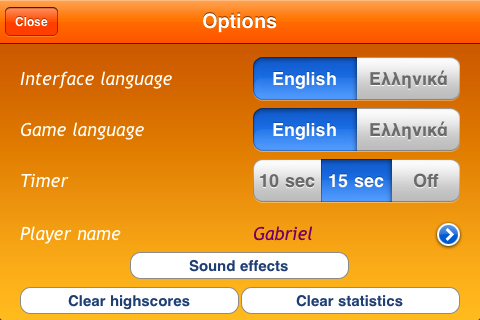 Specifically you can select language for both interface and game and/or combine them. 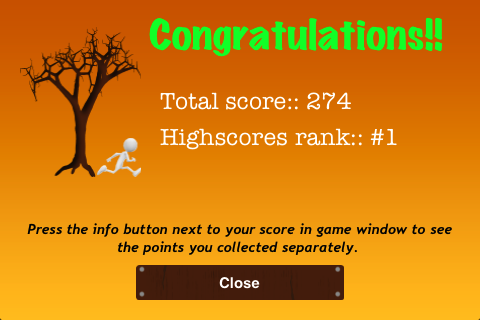 Single game: Guess the secret word without hanging our star, Mr-iHang and try to do the best score against time. 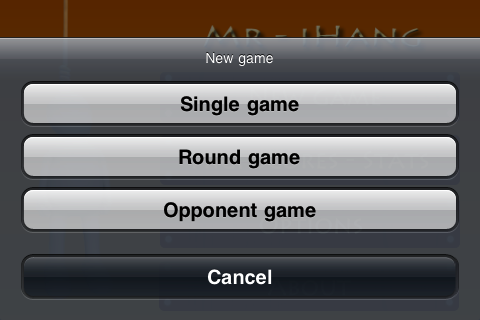 Round game: Play as more as you can one round after another, concentrating points and fighting against time. You don’t stop until you lose. How far can you go? 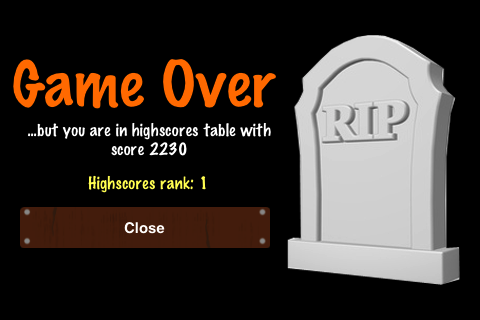 This type of game is really addictive. 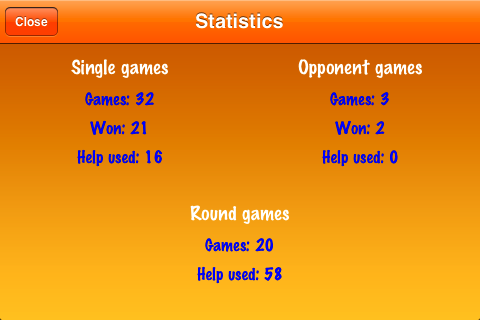 Opponent game: Are you bored playing alone? No problem. You can hang your friends. 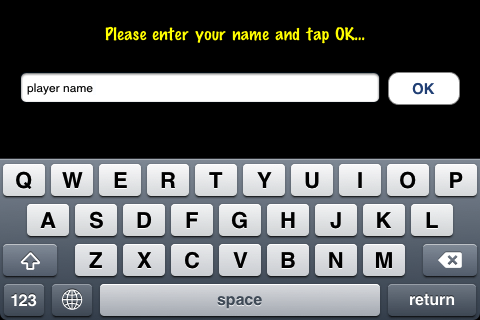 Set your custom secret word and let others guess it. 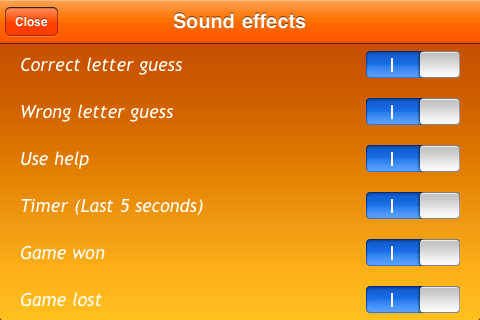 Enjoy the game to maximum with funny in-game sound effects. Use the in-game help button if you are about to lose in order for some letters to be revealed. But be careful, the help is available only once per game, so be wise and use it just when you need it. 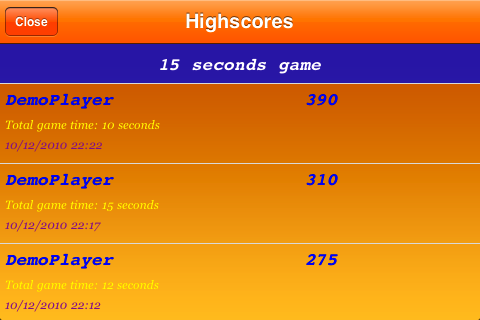 Set the timer duration to 15 seconds, 10 seconds if you are good enough or turn it off. 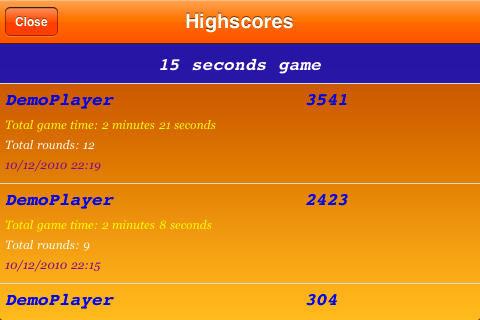 Begin a game and finish it at a later time if you need to. 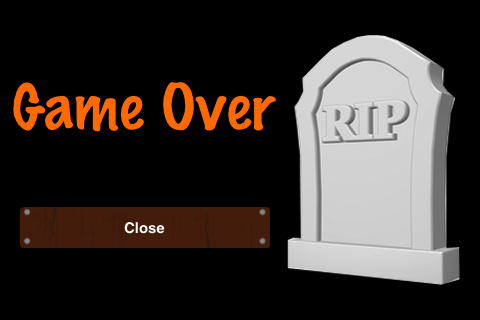 Auto-save feature will save your game status every time application exits and a game is still running, so you can continue playing it later. 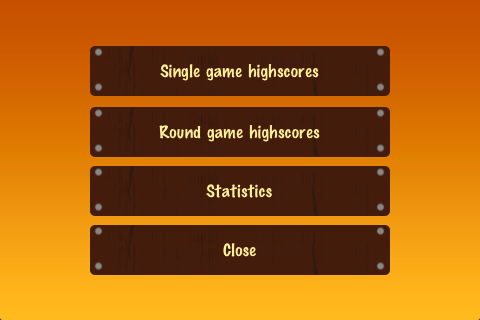 Review your highscores and game statistics at any time. If you don’t like them, you can clear them both. 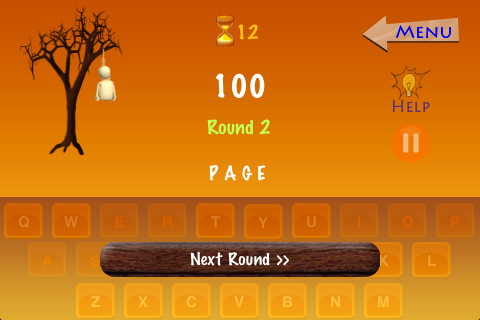 Alter various options, among them language, sound effects, player name and timer duration. Once you start playing you’ll love it. Are you good enough? Prove it here. Set the options you prefer and go. 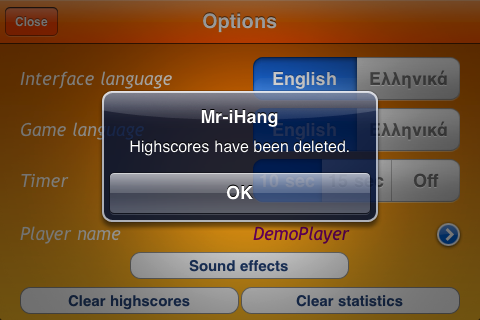 But be aware… You have only six error guesses at your disposal in each game just before Mr-iHang become… a hanged and late Mr-iHang. 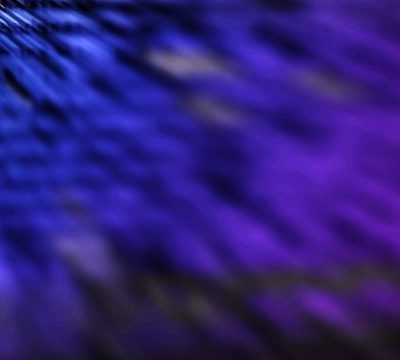 If you always liked classic game, here is your chance. 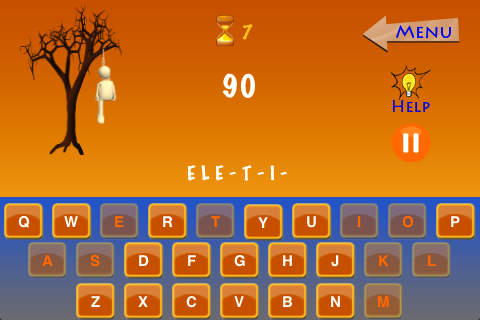 Be the winner in a great version of hangman game.